The book of Psalms is a collection – or, more precisely, a series of five collections – and as such does not reflect a single author or a concise time span. Each individual psalm had its own composer, though some appear to have been edited from their original version during post-exilic times. Many psalms are anonymous, although all but 34 are prefaced by superscripts that ell us something about the psalm and its origin. Of these, at least 73 are attributed to David (either by, about or for – as in possibly dedicated to – David) and others to Asaph (Psalm 50, 73-83), the sons of Korah (42-49, 84-85, 87-88), Moses (90), Solomon (127), Heman (88) and Ethan (89). Many scholars consider the superscripts to have been appended at a later time and therefore to be of limited historical value, but there are valid reasons for believing them to have been written soon after the psalms to which they are attached (see The psalm superscripts under Psalm 3). The psalms were composed over a period of almost 1,000 years, dating from the time of Moses (ca. 1400 B.C.) to the Babylonian captivity (586 B.C). Most were written during Israel’s wilderness wanderings or in Israel, Judah or Babylon. The traditional Hebrew title was tehillim (“praises”), although many of the psalms are actually tephillot (“prayers”). The title “Psalms” was first used in the Septuagint. The original audience varied, due to the eclectic nature of the book as a whole, but most early readers were Israelites of Judahites. Many of the psalms were used in corporate (group) worship settings, as they are today. Psalms is a collection of liturgical pieces for temple worship and personal devotion. 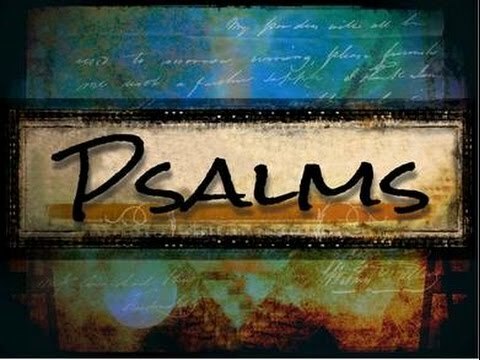 There is a wide variety of psalms, and the different types served various purposes in the religious life of Israel, including praise, prayer, lament and instruction (see Form Criticism and the Psalms under Psalm 90). The suggestion that there were already collections of psalms in circulation early in the period of Israel’s monarchy makes sense. 1 Chronicles 22-26 mentions that David reorganized the worship system of the shrine in Jerusalem, and it can hardly be doubted that the temple staff maintained collections of psalms for worship. Thus the present book, which took shape during the post-exilic era (most likely compiled by temple personnel in the third century B.C. ), can be though of as a final edition in a long series of temple “hymnbooks”. As you read: There are many different ways to approach this diverse collection of praises and prayers – and as many different schemes for grouping the psalms, with categories frequently overlapping. Although use of a commentary or study Bible with comprehensive notes can be instructive in studying the psalms, it is most effective from a purely worshipful standpoint to set aside organizational schemes and take these poetic gems at face value. Some readers find it helpful from a devotional standpoint to “pray” through the psalms, which are replete with praises, confessions and petitions – all key elements of a well-rounded prayer life. Pay attention as well to the instructive elements, to the principles set forth in these compositions for living an effectual, God-honouring life. Did you know that forgetting God in the Hebrew mind was a wilful act of “unlearning” whereby rebellious humans rejected what they had known and sought to create a world in which God did not act or exist (Psalm 42:3-4)? Did you know that though there is evidence that ancient Israel was far more forested than it is today, the presence of flourishing trees was still a sign of divine blessing for former nomads living on the fringes of a settled, agricultural society (52:8)? Did you know that the picture of splashing joyfully about in an enemy’s blood – though utterly incomprehensible to us – is a traditional Biblical image borrowed from ancient Near Eastern literature? It symbolizes victory over an enemy (58:10). Did you know that incense and prayer were associated? The sweet smoke of incense arose as a pleasing offering to God (141). Did you know that it was not uncommon in the ancient world for temple columns to be shaped in form of women (144:12)?